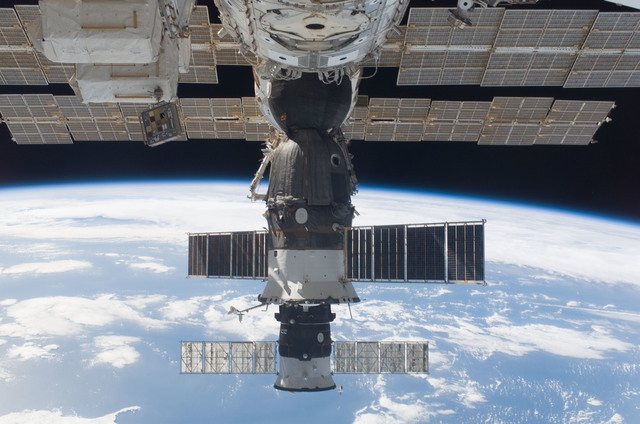 ISS015-E-20209 (5 Aug. 2007) --- An unpiloted Progress supply vehicle approaches the International Space Station. 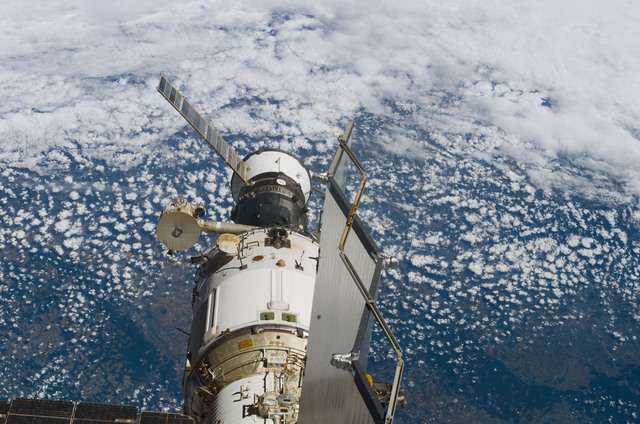 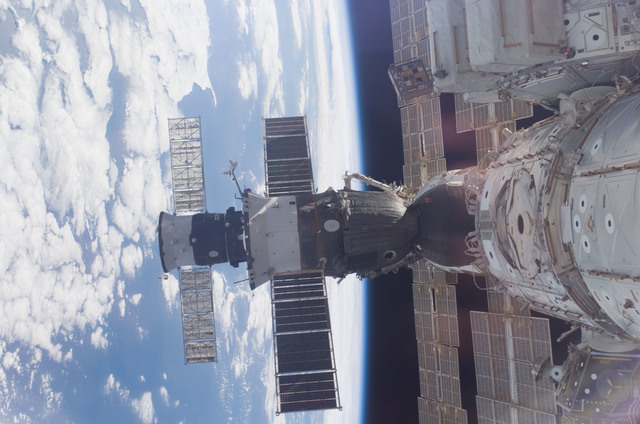 The Progress 26 resupply craft launched at 12:34 p.m. (CDT) on Aug. 2, 2007 from the Baikonur Cosmodrome in Kazakhstan. 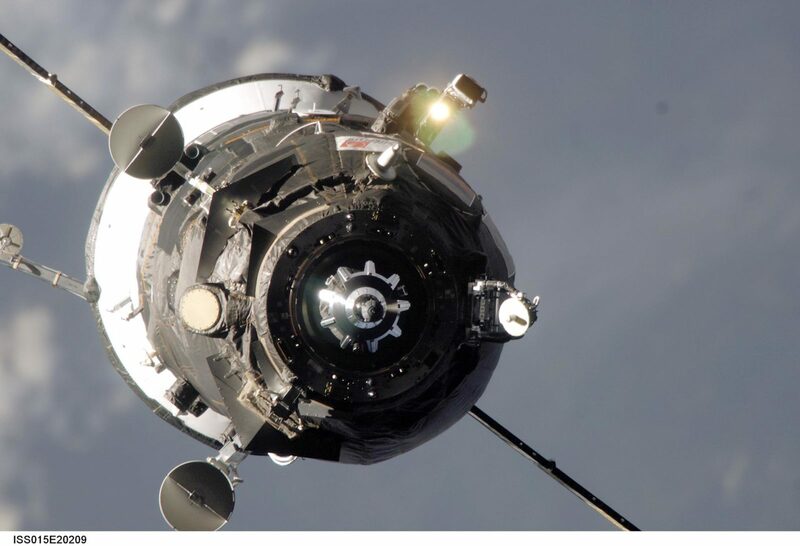 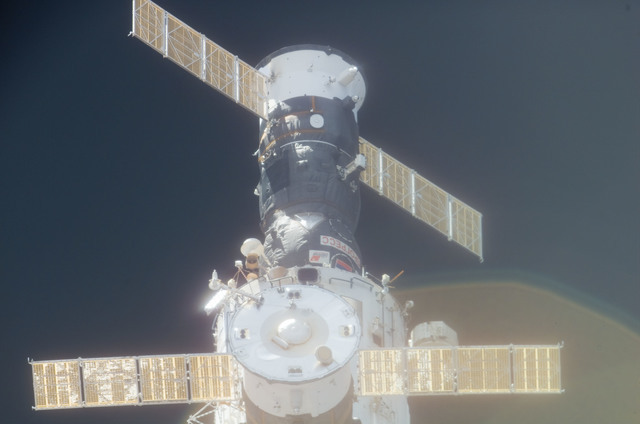 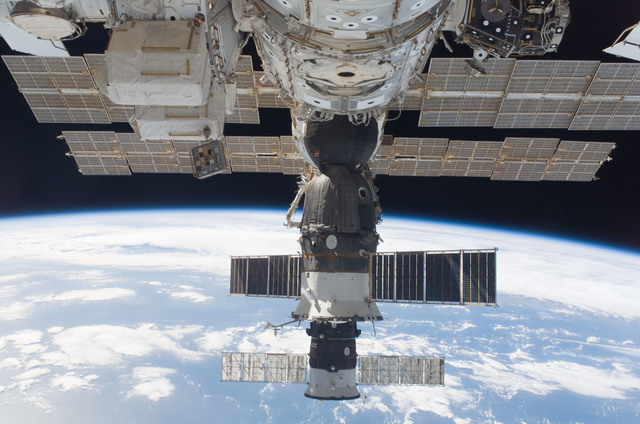 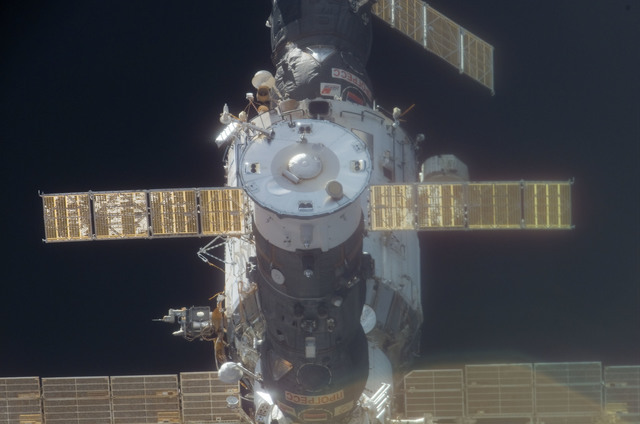 Progress automatically docked to the Pirs Docking Compartment Sunday at 1:40 p.m. (CDT) on Aug. 5 delivering more than 2.5 tons of food, fuel, oxygen and other supplies to the Expedition 15 crewmembers onboard the station.